NE Texas Realty Group has just sold this great home in Gordanville, TX in only 16 day on market for OVER asking price. Congratulations to our sellers on the sale of their home. Need to Sell Fast? List with us! HUD Home FHA Case# 492-534073 Sold AS-IS. 2 bedroom 2 bath home on large lot in the Paradise Cove Addition at Lake Texoma. Large workshop with 2 overhead doors, electric and half bath. Nice covered porch. Over sized rooms are a plus with 2075 SF living area. Central heat and air. Pottsboro ISD. Let's look. HUD Home FHA Case#492-805532 Sold AS-IS. 2 bedroom 2 bath home in Sherwood Shores Addition at Lake Texoma in Whitesboro ISD. Open floor plan design with vaulted ceilings in the living, dining and kitchen area. The exterior offers a metal roof and large storage building. HUD Home FHA Case#492-846676. Sold AS-IS. Hard to Find 4 bedroom 3 and half bath home on 51.06 Acres of land in Bells ISD. This home has a 3 car attached garage, split bedroom floorplan, 2 fireplaces, large master suite, 2655 sf living area, built in 1999 and much more. The exterior offers a large pole barn for your livestock, scattered oaks and pasture land, large pond, gated entry, concrete driveway and beautiful country views. This one will not last long at this price. Come look before it is gone. HUD Home FHA Case# 492-898091. Sold AS-IS. Great weekend cabin or vacation home at Lake Texoma Simmons Shores Addition in Pottsboro TX. This rustic style log siding home has vaulted ceilings with lots of knotty pine accents and open cabin style feeling. Open living, kitchen and dining with breakfast bar island and appliances. Great master suite with corner jetted tub and walk in closet. Nice over sized front porch for relaxing and 1 car carport are a plus. A great find and priced to sell. Nice 3 bedroom 2 bath home on 2.99 acres. HUD Home FHA Case#513-049504. Sold AS-IS. Wonderful country home with 3 bedrooms and 2 full bathrooms ready for new owner. The interior has ceramic tile throughout, lots of pretty wood cabinetry, 2 large living areas with fireplace and much more. The exterior offers an attached double carport, nice porches, large fenced yard with mature trees and 1900 SF workshop and barn ready for your adventures. The barn is set up for small livestock with stalls, tack areas and wash bay. There is also a bathroom set up in the barn area. This one will not last long. Let's look! HUD Home FHA Case#492-789156. Sold AS-IS. Hard to find newer home. 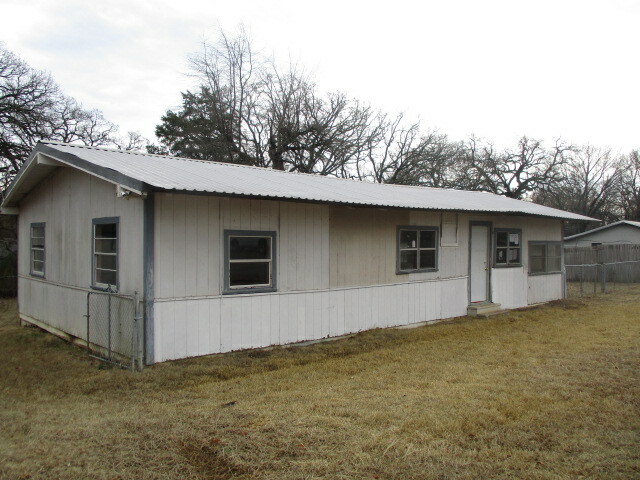 3 bedroom 2 bath frame home built in 2007 located in Denison ISD. This home has a rear entry driveway and good curb appeal. Split bedroom floorplan, open living and kitchen area are a plus. This home has many energy efficient features that would be great for first time buyers and investors. This one will not last long! Let's look.